NEW YORK (CNNMoney.com) -- On any given day at Grey Dog, a small restaurant in downtown New York, you'll find clusters of engineers and entrepreneurs crowded around tiny wooden tables discussing their startups' latest creations. The high ratio of techies to tables isn't surprising. DogPatch Labs -- an office space that houses more than 10 companies backed by venture capital firm Polaris Ventures -- is right around the corner. One street south, a variety of startups rent desks at TechSpace. A number of Union Square Ventures-backed companies work in the area. And TechStars, a mentoring-and-seed-cash program that just selected finalists for its first crop of New York startups, is right around the corner. Within a few densely packed urban blocks, dozens of tech startups are cranking out code. And investors want in. Early. Which has tech veterans a bit nervous. The murmuring started months ago, with early-stage investors moaning about soaring valuations and venture funds shifting their cash toward Internet upstarts. Then a widely circulated dispatch from New York venture capital doyen Fred Wilson yanked the conversation out into the open. "I think the competition for 'hot' deals is making people crazy and I am seeing many more unnatural acts from investors happening," he wrote last month in an ominous blog post titled "storm clouds." Things have intensified since then. Google (GOOG, Fortune 500) tried -- and failed -- to snap up daily-deals darling Groupon for a rumored $6 billion. Twitter sucked in $200 million more from investors, giving the company a valuation of nearly $4 billion. Kleiner Perkins is raising more than $1 billion for new venture capital funds -- and lured Wall Street's star Internet analyst, Mary Meeker, to Silicon Valley to spot investments for them. Wilson avoided using the term "bubble," but others aren't shying away. Angel investor and Wine Library TV host Gary Vaynerchuck thinks a "huge bubble" is inflating. "I'm seeing a lot of companies get $5 million to $15 million valuations now on their first seed rounds that have no anything," he says. "At least they're a little bit more practical than 2000, when people got crazy." Hot deals "are incredibly competitive, which pushes up valuations," says TechStars director David Tisch. Two worries. First: Bubbles artificially prop up weaker ventures and disrupt market Darwinism. "I do worry about companies that shouldn't get funded, getting funded," says Chris Dixon, an active Silicon Valley angel investor whose portfolio includes Skype and Foursquare. "When you have great talented people all starting their own company, the companies that are trying to hire are getting hurt because they're not able to hire," Tisch says of the brewing talent war. Exhibit A: Google's recent decision to hike its workers' pay by 10% across the board. Second problem: This kind of thing usually ends in tears. Bubbles burst, and the last time that happened it blew a crater in the U.S. economy and froze tech investing for years. Which is why those who think things are getting frothy wouldn't mind hearing some pops. Lawrence Lenihan, managing director of New York-based FirstMark Capital, thinks there will be a few high-profile flameouts. "My prediction of what will happen is that there could be a meltdown in the New York tech scene," he says. "But it's like a forest fire: It's good, it clears out the dead wood." Tisch thinks a bust "would help everybody on some level. A realignment of the early stage stuff would be a benefit to quality companies." But here's the silver lining: Some of the dot-com debacle's lessons stuck. Most of the billions being plowed into the tech scene's hottest startups right now are coming from venture capitalists and rich angels -- not retail investors sucked along by an IPO tsunami. And those VCs say they're planning carefully for the market's ups and downs. "We are not pulling back. We are sticking with our investment strategy,"Fred Wilson says. He thinks his last venture capital firm, Flatiron Partners, made two mistakes during the go-go '90s: It raised too much and spent it too fast. This time around, he's keeping a close eye on maintaining a slow and steady pace, adding six to eight companies a year to Union Square Ventures' portfolio. Lenihan has a similar approach. His firm, which makes the majority of its investments in New York companies, will keep deploying its cash even if the market fizzles. "This is not Silicon Alley," he says of the modern New York tech field. "This is not something where it's going to disappear off the map." The tech industry itself has also changed. Thanks to open-source software and fast-improving tech tools, it's vastly cheaper to launch a Web startup now than it was 10 years ago. And for every Twitter -- a great idea in search of a business model -- there's a Groupon or Zynga: companies that mint money and are already solidly profitable. As Dixon put it: "The tech sector is probably the brightest sector of the U.S. economy. It's real. It profits." So in downtown in New York, techies will keep checking in at Grey Dog, where Tisch stopped in for breaks while culling through the stack of applications for TechStars NYC. The finalists -- who got the good news last week -- include ventures targeting fields ranging from data migration to social e-commerce to fashion. 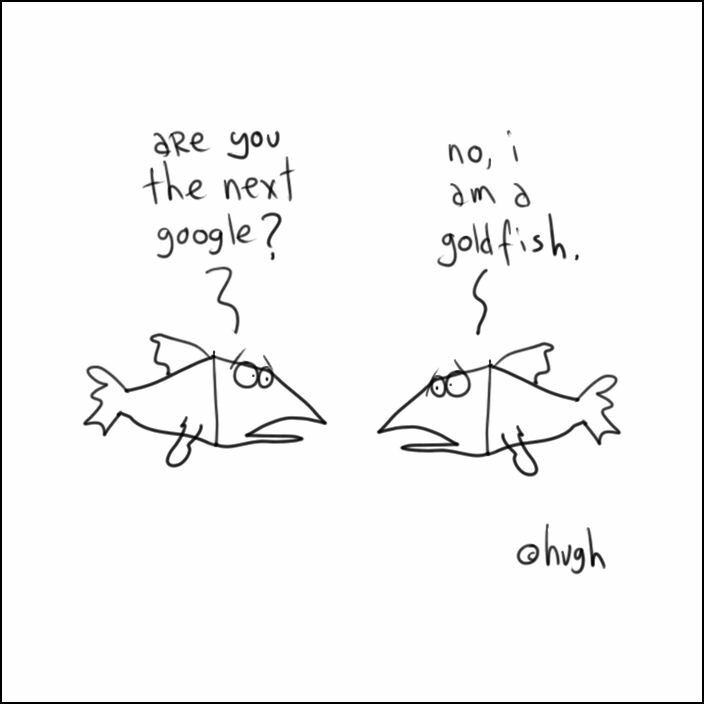 Maybe one of them will be the next Google.